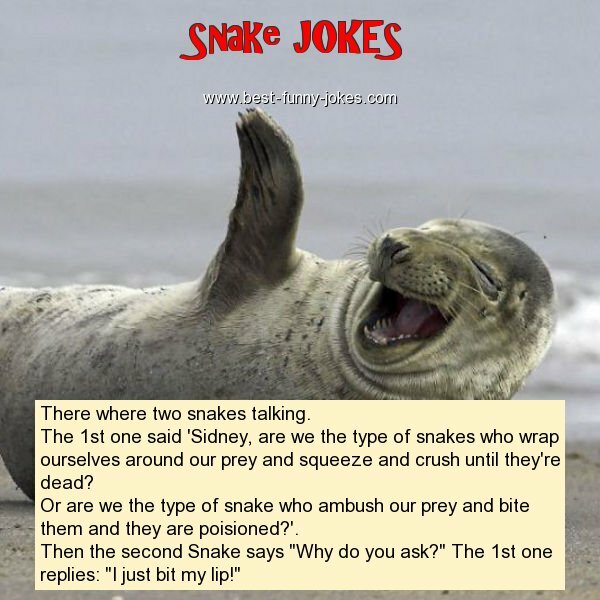 The 1st one said 'Sidney, are we the type of snakes who wrap ourselves around our prey and squeeze and crush until they're dead? Or are we the type of snake who ambush our prey and bite them and they are poisioned?'. Then the second Snake says "Why do you ask?" The 1st one replies: "I just bit my lip!"